It’s the age-old problem for owners of period homes, where to put the TV without it ruining the look of the whole room. But working with the Victoria & Albert Museum, Samsung has come up with an innovative and attractive solution – a TV that looks like a framed piece of artwork. The Frame TV can be fixed to the wall and when switched off transforms into a framed work of art, that looks good in any setting and blends beautifully with other framed pictures in the room. It is available in 43, 55 and 65-inch models and offers consumers more choice and flexibility to customise their living space. When switched on and in use as a TV it delivers a UHD certified picture. Prices for The Frame start at £999.99 from Samsung’s online store and selected retailers. 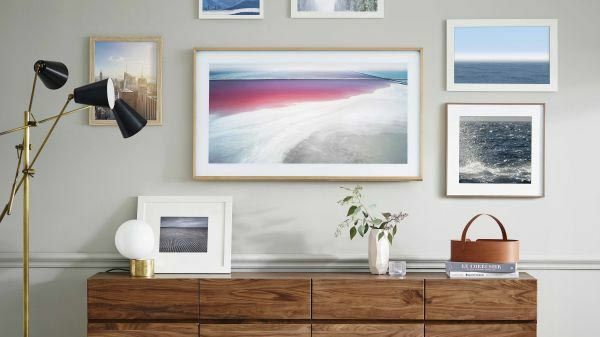 A recent collaboration with the V&A has enabled Samsung to select 20 works of art from the museum’s archive, available on The Samsung Art Store for owners of The Frame TV to enjoy at home through a digital display framed on their TV. The artworks tell the story of art and design across centuries and cultures, from classic wallpaper patterns to Japanese uiyo-e woodblock prints. Users can either sign up to the Art Store with a monthly subscription of £3.99, or make one-off purchases of £14.99 from the library of more than 300 pieces of established and emerging artists. For more information contact Samsung.